It's on my mind every year around this time... back to school and building a positive learning environment for my students. I really believe it begins on day one. Students come to school full of excitement and anxiety. 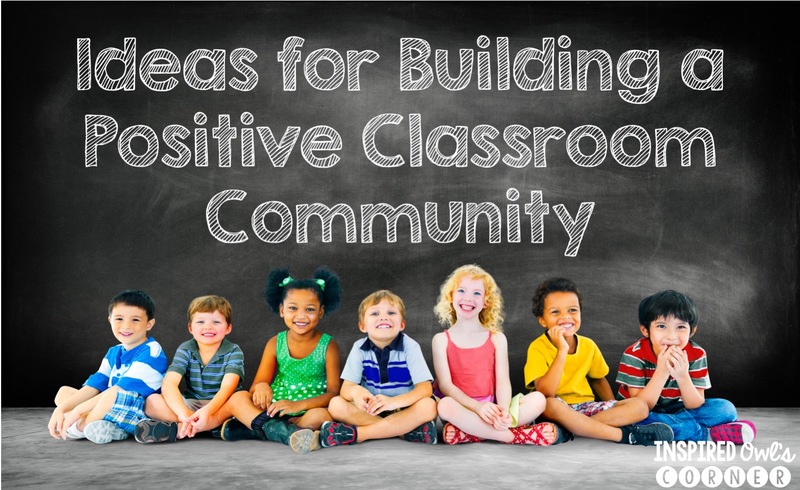 We want to eliminate that anxiety first thing when they walk through our classroom doors. I have found it helpful to have a kickoff party on the first day of each school year. When students arrive, they are greeted by a sign on the door that says, "Welcome to the Greatest School Year Ever"! I show them where to put their belongings and ask them to take a seat wherever they feel comfortable (I don't assign seats until I have observed how students work with one another for a few weeks). There are balloons scattered around the classroom and goodie bags on their desks. They read their Letter from My Desk from the previous year's students, which fill them in on our classroom procedures while I take roll and lunch count. 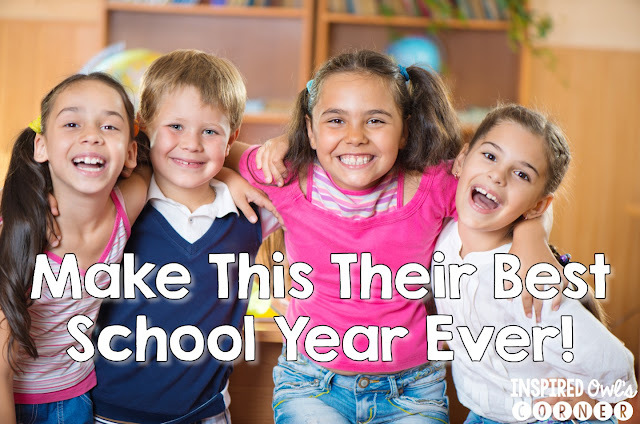 They open their goodie bags on their desks, which usually include treats such as a Crazy Straw, Pixy Stix or a pencil with a "Greatest School Year Ever" label attached, a bookmark, homework pass, granola bar, and an eraser. Sometimes I bring cookies and Capri Sun. I usually change it up each year. Some of the resources I use are found in this pack. Throwing a party on the first day of school sets the tone for the the year. Students are excited to be in their new classroom and anxiety is alleviated. Sometimes they are shocked that we have a party on the first day of school. I always tell them that we have parties to celebrate the end of the year, and the beginning is something to celebrate too! On the first day of school, I read a few books before or after transition times such as First Day Jitters, How I Spent My Summer Vacation, and This School Year Will Be the Best!. I like to collect a writing sample on the first day, and either have students write about what they did over the summer or how they felt the night before the first day. These books are helpful to begin the conversation and get students ready to write. My students also participate in many different getting-to-know-you activities in partners and groups. I like to give them lots of opportunities to share and learn about their classmates the first few weeks, since that's how we will build a sense of community. I've put together some of the resources I mentioned above in a Back to School pack for my readers. You can download your copy here. Be sure to check HERE and HERE for more Back to School ideas and freebies!